Take a break with your Friendly Neighborhood Spider-Man! 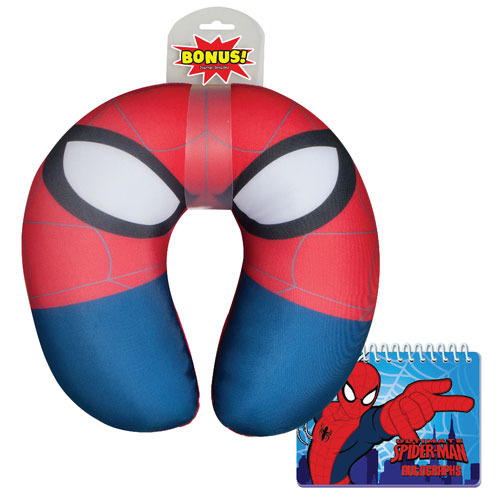 This Spider-Man Comfy Pillow and Journal features a nifty autograph book that you can fill up with the signatures of all the famous Marvel characters you meet. Then, when you're all tuckered out, it's the perfect time to pull out the cushy neck pillow that looks like the Webhead himself. It's a perfect combination for that Spidey fan! Ages 4 and up.